An anti-terrorism court in Pakistan on Saturday issued non-bailable arrest warrants against eight persons, including Pakistan Taliban chief Mullah Fazlullah, for the brazen militant assault on Karachi airport in June. An anti-terrorism court in Karachi issued the arrest warrants against Fazlullah, former TTP spokesman Shahidullah Shahid and six others. The court issued the warrants after police filed a chargesheet in the court, The Express Tribune reported. At least 37 people, including all 10 terrorists, were killed after an all-night battle with militants who besieged Karachi airport’s old terminal on June 8. 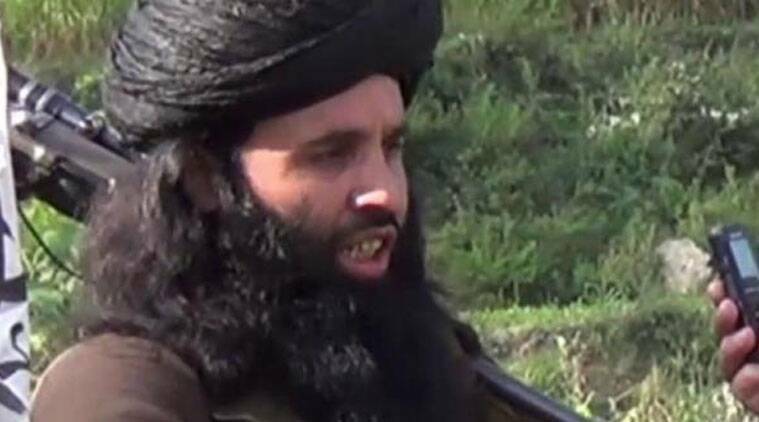 Tehreek-i-Taliban Pakistan (TTP) spokesman Shahidullah Shahid had claimed responsibility for the audacious attack on the country’s largest airport, saying the attack was carried out to avenge the death of Hakimullah Mehsud, former TTP chief who was killed in a US drone strike earlier this year. The militants had also mounted another attack on a security check post outside the airport just a day after the attack, without causing anymore casualties. Earlier in October, four suspects allegedly liked with al-Qaeda, Lashkar-e-Jhangvi (LeJ) and Harktul Jihad-e-Islami (HJI) militant outfits were arrested during raids in different parts of Karachi. “The arrested suspects used to provide logistical support to the attackers,” Crime Investigation Department’s acting Deputy Inspector General Saqib Ismail Memon had told media. In June the Pakistan army began a long-awaited operation, named Zarb-i-Azb, against militants in the North Waziristan tribal agency after the deadly assault on the Karachi Airport. And after the recent attack on Peshawar’s Army Public School that killed 148 people, mostly children, the army has escalated its offensive in the tribal region. Pakistan has been battling militant groups since 2004 after its army entered northwestern tribal belt bordering Afghanistan to search for al Qaeda fighters who had fled across the border following the US-led invasion of Afghanistan.